Today…Photos taken in late Summer 2016. Rebell had a foal and has come back into work. 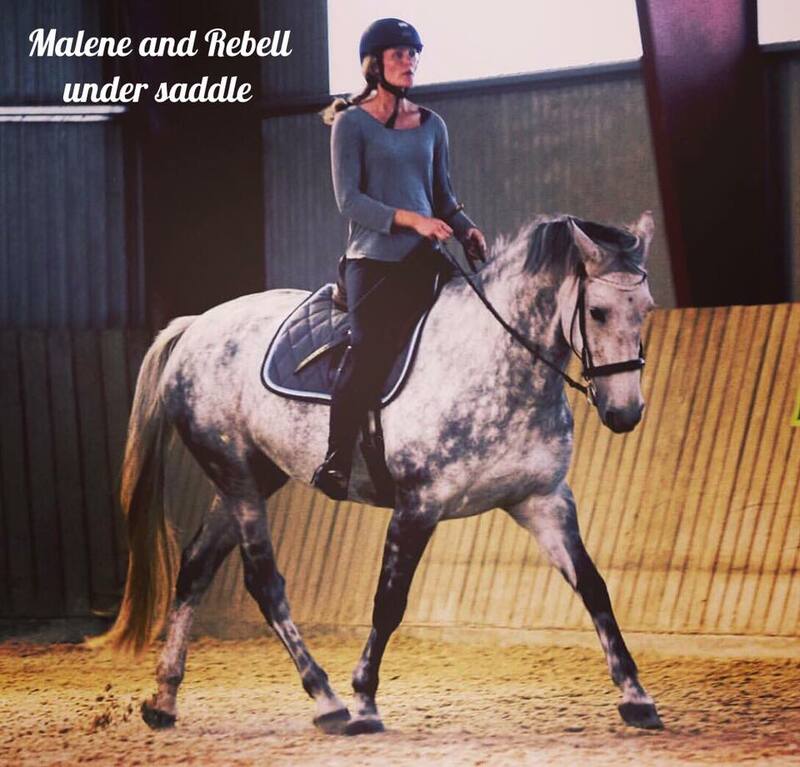 Malene works with her in-hand and under saddle and is having a great time with her. For her story, read below. 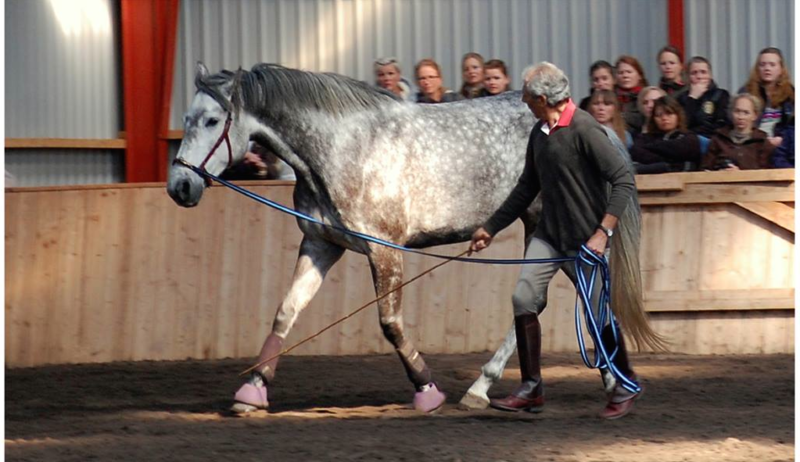 In May 2014, I went to Manolo’s clinic in Denmark, with my young jumper mare. Charismatic Rebell was 6 years old. She was ridden very little as a 4 and 5 year old because of a ligament injury and hormonal imbalances. 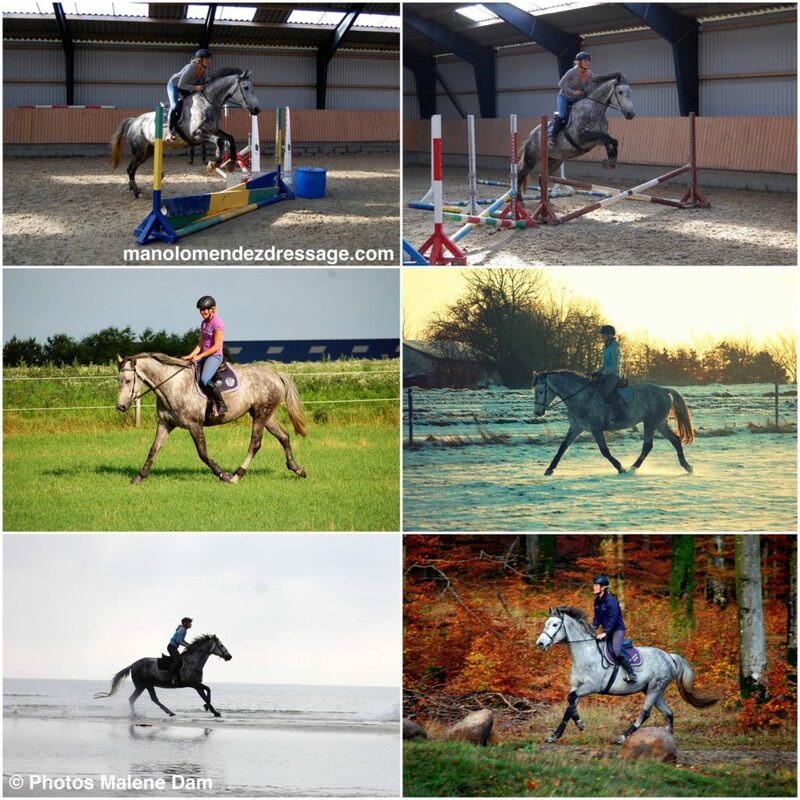 These problems were treated, but had left us with some imbalances in the training – primarily in the arena. This meant that I was close to giving up, because of her behavior. Most days we could hack out in the forrest okay, in walk and trot, and some days canter, when accompanied by another horse who cantered. Some days – when she was motivated, riding in the arena would go ok., but other days she would refuse to turn or go forward, and just stop and rear or buck. I tried all I know off, but were unable to change the situation, without getting into a fight, which i did not want to. I could write half a novel about the things that happened before, during and after the clinic, but I will make it short. 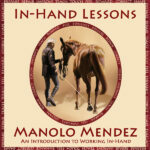 Meeting Manolo changed everything for us – for the first time, I felt like someone else understood my horse and her unique personality. At the time, getting around the arena in trot was a big challenge, because she would suddenly refuse to turn or go forward, and transitions into canter were impossible. The 3 days we worked with Manolo, changed my entire perspective and gave me new ways to handle our challenges. On the first day, Manolo took of all of her equipment, and started a full body check-up. I was quite worried, and warned him, that she usually would kick strangers who got to close. Manolo just smiled at me, at sent me to the stands to watch – which i did, overwhelmed. The more Manolo worked with her, the more relaxed she got. 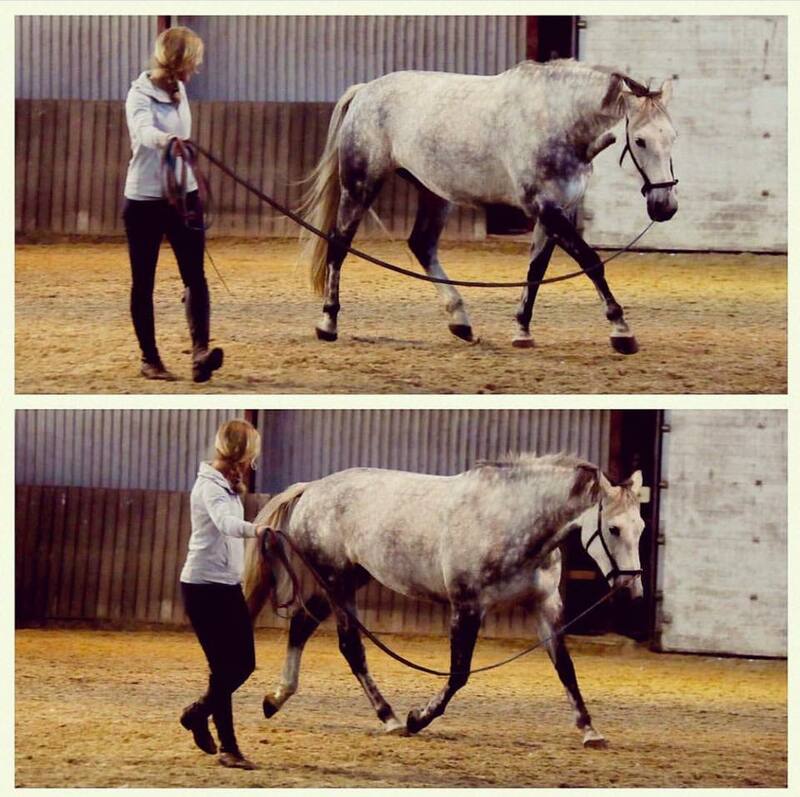 After testing and treating some of her musculoskeletal imbalances, he started doing ground and lunge work. Manolo was very aware of her mental state all the time, and very quickly figured out the perfect way to handle her. He gave me a new view – when he told me, that her body needed to canter, and her mind needed constant / changing inputs, without it ever getting too hard for her. The second day, I rode in the indoor arena, and her unwanted behavior related to turns and forward quickly showed. Manolo wanted to change the set-up, so that she had the possibility to offers a new behavior. He did most of the work from the ground, with me in the saddle – Walking around with us, changing her focus every time she started to resist my aids, by using the bamboo stick and cues from the first days lunge work. The primary focus was on transitions and turns, and always changing the situation just enough, that she did not get bored and started making her own decisions about speed and direction. On the third day, we went to the outdoor arena, because i wished to repeat the training from day 2, in a different context. Here, Rebell was very focused on the exit. Manolo did a little lunge work with her before i got up. As soon as I got in the saddle, she started pulling towards the exit and only offered head shaking -escalating to rearing, when i asked her to turn. Manolo had a little talk with her, placed himself close to the exit, and sent us out into the arena – everytime she would try to make a turn for the exit, manolo took over, from the ground, to make her stop fighting my signals. After some time she began to focus on me, we could work on changing her movement from dropping her back every time she tried to go toward the exit, and instead getting her to use her back /whole body in a way that helped her move more fluently. This gave us much more quality in speed and direction. The way Manolo managed to be persistent but always calm, and thinking ”out of the box” instead of increasing pressure, was really amazing. I went home with big hopes for the future and a great motivation for training the things that I, 3 days before, was ready to give up on. After the clinic, I decided to separate the training into objectives – giving us the best chance of success. 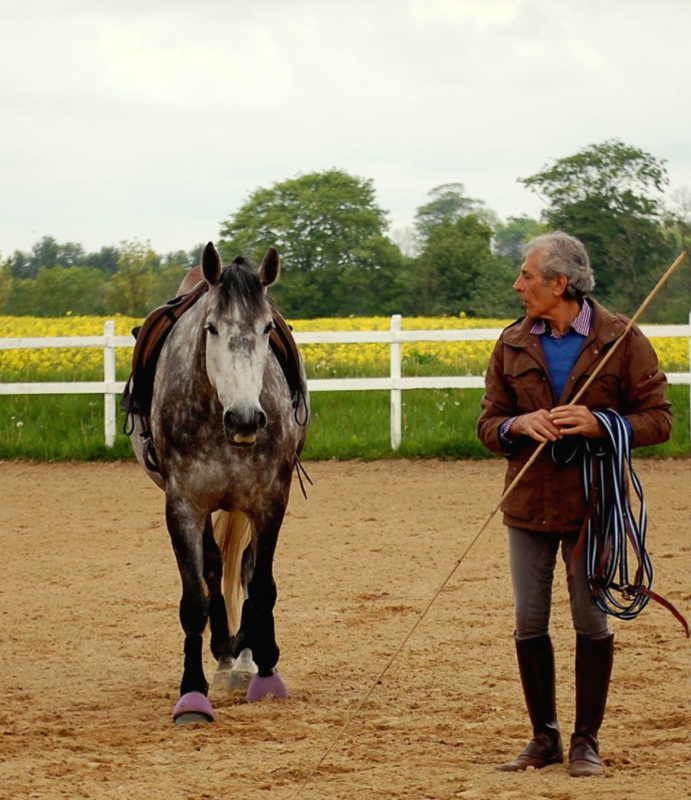 Being able to lunge in all 3 gaits in the arena, with the lateral bend and forward energy Manolo taught us. Getting nice trot transitions and turns in the forrest / at the beach -accompanied by another horse, using the bamboo stick to keep her focus. Transitions and turns in the forrest, without company. Canter transitions in the forrest. 1. with company /2. without. In the beginning I only did ground and lunge work in the arena, and chose to ride her in the forest, doing transitions and turns, the way Manolo taught us – carrying the bamboo stick, and every time she would tense up, I could use it, to make noises by dragging it on the ground or hit some branches next to us – making her change her focus and her response. I started to take her to different places and arenas, doing just the same as in the forrest. 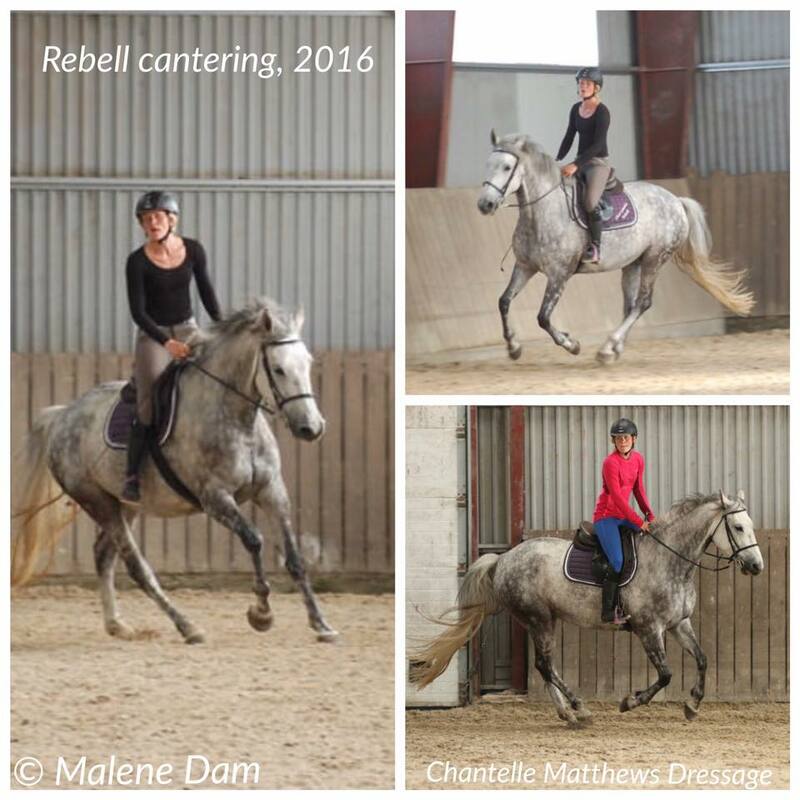 After a period, it felt like she let go of a lot of resistance in her body, and her trot changed, suddenly she offered a soft energy, and I could just give the verbal command for canter (from the lunge training), and she made the transition. This work has been going on for 3 months – and the other day , I was ready to ask for the canter in a new arena, and she offered it, just as nicely as in the forest. The other day when I went for a ride with Rebell, a thing became clear to me – the main thing that have changed since the clinic with Manolo. Rebell had had 5 days off, because I had been away from home. So we started with checking the basics – getting a energetic, straight walk with even contact on both rains.. this is THE thing we always have to find, before doing anything else.. If we do not, we always have to go back and “fix it” before we can get the nice soft trot, turns and canter. Riding my mare has turned from frustration into my greatest joy! We can trot and canter anywhere, and today we had our first jumps; my big dream come true!